Bauer Supreme S170 Senior Hockey Skate | Sports Etc. 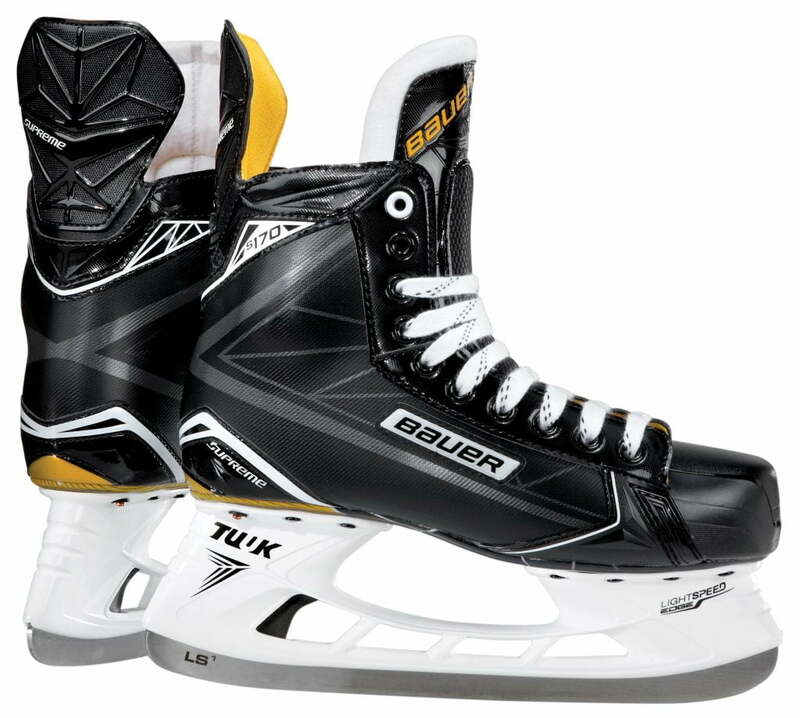 The Bauer Supreme S170 skate is a great choice for a skater looking for a step up in performance. The Ultra lightweight 3D Tech Mesh ensures the skates start light and stay light, while the Anaform ankle pads keep the fit snug and secure. Fully Thermoformable uppers ensure a great fit. The New Tuuk Lightspeed Edge holder allows the ability to change blades on the fly! Sports Etc Performance To Value Rating– 8 out of 10- A great skate for serious skaters with a budget. A lot of high end features in an affordable package.